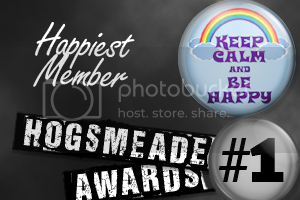 CoS wouldn't be here without the members 1 & 2, the first two admins, Steve & Val who conceived the idea of CoS and asked me to come on board very early on when MuggleNet's old forums were still alive and kicking (in a manner of speaking). Then there's Casey, Emerson & the other guys who helped with the maintenance of the site in its infancy and all the technical problems. The ever-wonderful Ali, whom I miss a great deal. Then you get the roll call of other staff that have come, gone and are with us now. All good good people who happily give their time to help out and deal with the everyday business, which can be hard. Too many to name in person here without it becoming an Oscar speech, but they are all wonderful people with good souls. And to the members who post, debate, discuss, argue (sometimes). Very good contributors on here, for the most part. Thanks for stopping by and enjoying this little piece of HP fandom. Thank you Morgoth and everyone else who contributed to the creation of this forum! I have been here since 2004, and it is the best forum I have ever been on. I do not regret spending any moments on here, been here for a long time, and it has been amazing. Yeah thank you guys so much. I had always been looking for a nice website to do discuss, well, anything, about HP and here it is. But I think the most important part of a site like this is the people on it. You're all great. Could we have a more perfect community for Harry Potter? I think not. Yay thanks Morgoth. I've been here for.. six and a half years, and have met some wonderful people in that time Very well run site. Thanks for stopping by and enjoying this little piece of HP fandom. Thank you for making it such an enjoyable stop and keeping it such, despite our recurrent forays into the opposite direction. With all due respect to Harry&co... you're probably the bravest man I ever had the pleasure of reading. Thank you, Morgoth, for making this such a friendly, fun and safe site. Same here. Cos is one of the better forums that I've ever been a part of and I don't regret joining it back in 05' myself. My Potter experience wouldn't have been half as great without this site. I whole-heartedly agree! I have loved the years I've spent here and the people, discussions, and camaraderie I've found here. A huge thank you to Morgoth and all the staff who have given us this wonderful place. Words can't express how thankful I am that I joined this site. It has enriched my HP experience a thousand-fold and I have met so many terrific people. I thank you, and those who help you, for introducing this site and keeping it as wonderful as it could ever be. Last edited by MHPFAN; July 12th, 2011 at 5:34 am. Congratulations on nine years of CoS! Thank you for making this wonderful site. I've been here for about five and a half years and it's been great. I must say this, if it weren't for CoS and the Magical Masterpieces sub-forum, I probably wouldn't have been introduced to making graphics, which I enjoy so much now. I learnt something new here. So, thank you. Wow 9 years! This site sure is awesome! Dont know what I would do without it. Thank You Morgoth and to all who have worked with and for you in making this one of the BEST sites ever period not just a HP site but of any kind. Thanks, Morgoth for making such an awesome site. I've enjoyed every minute of the discussions I've had with other fans. I love that I can share my love of HP with everyone here. Thanks. It's hard to believe that it's been nine years since CoS opened. The CoS forums have been most enjoyable to visit, and it's been a great way for all HP fans to get together to discuss the books, films, issues, etc. I joined in 2005 and have met a lot of wonderful people. 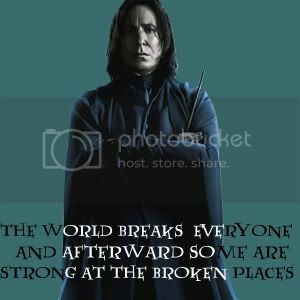 We are more than just HP fans, we're friends and family now! Thank you to everyone involved in this site, it's such a lovely place to be! my biggest regret is that I didn't join sooner, I only joined last year but it seems like so much longer and I've had so much fun discussing everything. Congrats on nine years! Thank you to Morgoth and to all of the staff! Thanks Morgoth!! And thanks to everyone else who put so much effort into CoS as well!! This place really is awesome! It's time to say goodbye to turning tables"
To Morgoth and all of the staff that have come and gone and those that are working now I want to offer a very sincere Thank You. I won't pretend to know how much work goes into something like this but I am sure it is not as easy as you all make it seem. You have enriched the HP experience by offering us a forum that is family friendly.